Tornio is a city and municipality in Lapland, Finland. You'll find plenty of places to visit near Tornio: Tatuka Palvelut (in Ylitornio), Oulu (Tietomaa, Ainolan Puisto, & more) and Haukipudas Church (in Haukipudas). Pack the 27th (Sat) with family-friendly diversions at Duudsonit Activity Park - TornioHaparanda. Next up on the itinerary: hike along Eeron Polku Trail, take in the architecture and atmosphere at Tornio Church, contemplate in the serene atmosphere at Kemi Church, and play a few rounds at Tornio Golf. Quickly create a custom-made itinerary for Tornio using our trip planner. 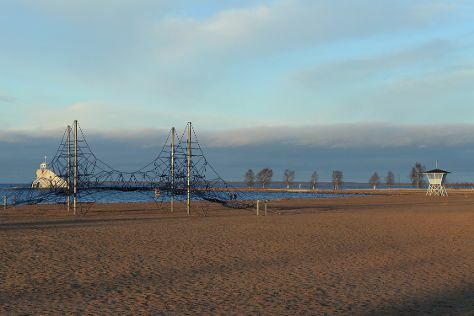 October in Tornio sees daily highs of 6°C and lows of -1°C at night. Wrap up your sightseeing on the 27th (Sat) early enough to travel back home.